Having healthy hair is one of our first concerns when it comes to being beautiful. We submit to all kinds of processes: iron, dyes, wicks, keratin … An endless list. The use of these chemicals and thermal tools added to the inclemency of the weather, weaken the hair strands. It makes them brittle and makes them look less healthy. That is why it is so necessary to maintain it, and follow some remedies for healthy hair both at home and in the beauty salon. Today women wear hair that has a lot of color and subject it to discoloration. Taking into account that excess moisture is the main enemy of the hair, nurturing it and giving it life is very important. Do you want to know how to keep your hair healthy without paying expensive treatments, visiting high-priced salons or trying out many shampoos and conditioners? If your answer is “yes”, then you should continue reading. 7 Natural Home Remedies For Healthy Hair. The banana is very rich in potassium, so it helps improve the health of the hair and natural elasticity. With the help of a fork, step on the banana until you get a puree. Then apply this mixture from the hair root to the tip. Leave this treatment for approximately 15 minutes. Then wash the hair with shampoo. This solution will help to heal dry and damaged hair. The egg is one of the natural ingredient available to get healthy hair. You only need to massage the yolk of an egg on your scalp and let it act for about 10 minutes. Subsequently, rinse with water and shampoo as always. Repeat this remedy 1 to 2 times a week to get the best results. Rinsing your hair with beer is one of the popular home remedies for healthy hair. You just have to put some beer in a spray bottle. Wash your hair with shampoo and then dry it with a towel lightly. Spray the beer lightly on your hair and let it act for half an hour. Following this remedy will help improve the shine of the hair. One of the home remedies for healthy hair is using mayonnaise. Apply some mayonnaise on wet hair. Leave this treatment on your hair for approximately 60 minutes. 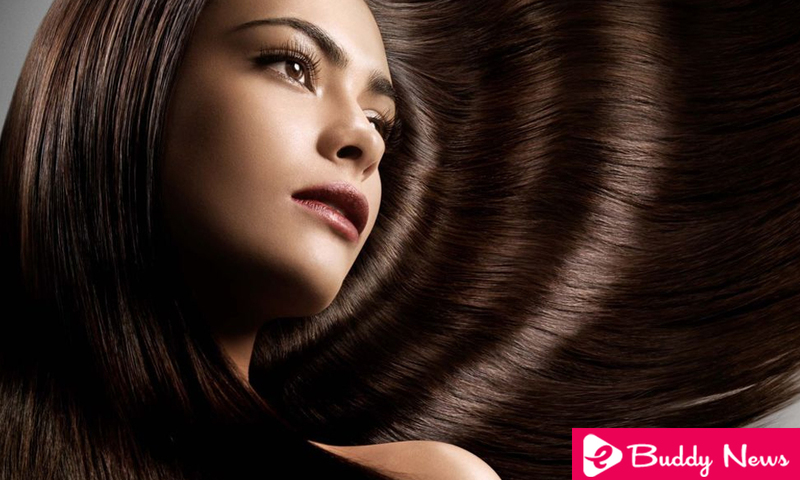 Subsequently, rinse your hair with plenty of fresh water and then wash with shampoo. This mayonnaise remedy will be a wonderful deep conditioner for your hair. Ideal when it looks brittle and dehydrated. Olive oil will help strengthen your hair and prevent the breakage of hair strands. Massage the olive oil on the scalp and hair and leave for about 30 minutes. Then rinse well. If you wish, you can leave the olive oil in your hair at night for better results, as well as for additional conditioning. Use a cap to avoid staining the pillow. Strawberries are often underestimated when it comes to protecting their hair, although they are excellent allies for hair when they are very mature. Crush 6 or 8 strawberries (depending on the length of your mane) and massage the mixture into your hair. Cover with a bathing cap and then place a warm towel on top. Leave on the mask for 20 minutes. To finish, wash well with a combination of shampoo and conditioner. This remedy will leave the hair with a rich aroma and a lot of shine. Honey is very good for beautiful skin, and it also works wonders for healthy hair. Using honey is an excellent home remedy to restore damaged hair and prevent it from falling. Simply add 2 or 3 drops of honey to your conditioner or shampoo and use it to wash your hair as you do daily. There is no recipe that is totally infallible or that can be considered really better than the others. It all depends on the type of hair, how abundant it is and even how long it is. All these factors are very influential when determining how effective home remedies can be to moisturize and repair dry and damaged hair. Avoid daily washing. Washing your hair daily can lead to dryness because this removes hair’s natural oils and moisture. Use the correct temperature of the water. Almost everyone likes the hot shower, but you should know that this can dry the scalp and hair. Dry the hair properly after washing. The way you dry your hair can also affect your health. Do it naturally, making sure not to rub with the towel. Another way to keep hair hydrated is to brush your hair regularly. The movements will help distribute your natural oils evenly giving your hair better moisture. Look for effective foods to give your hair the nutrients and moisture needed to look bright and smooth.